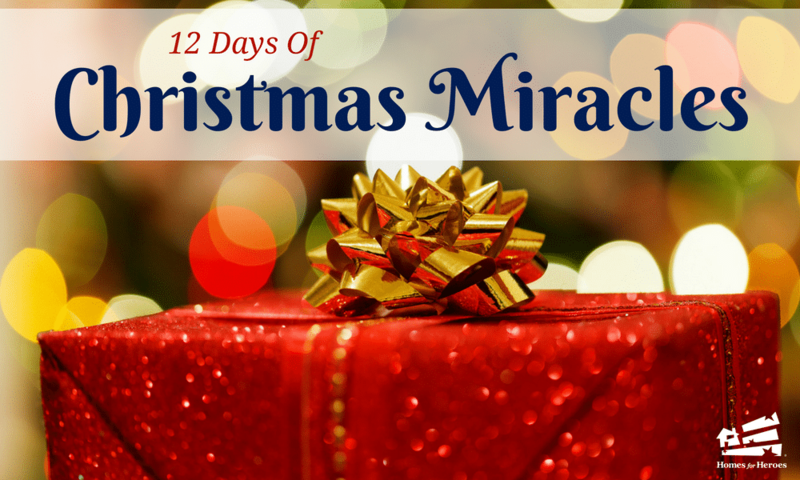 Day 7 of our 12 Days of Christmas Miracles was presented to a firefighter in St. Louis County. A week before Christmas 2016, the firefighter was called to a fire at a building that the city assumed was vacant. The building was collapsing and the Captain was calling all firefighters out. When he entered the building, our hero heard voices coming from deeper inside the structure. He had a choice to risk his life and find where these voices came from, or to obey his Captain and vacate the building. Without any hesitation, he made the choice to go deeper into the building and find the voices. His heart and soul would not let him leave until he found these people. The voices belonged to people that had taken temporary residence in this building to try to stay warm. He located them, and again had another choice to make. Without hesitation, he made the choice to keep going and try to get these people out safely. He succeeded in getting them to safety. Unfortunately the building had a fire swell and explosion in which fire engulfed him. He was on fire, but able to get out. The firefighter was rushed to the emergency room and suffered third degree burns all over his face and body. He ended up spending the holidays in the hospital. During another call, a fellow firefighter’s tank ran out. Had he not have taken off his own air tank and risked running out of air himself, the other firefighter would not have made it out alive. Just a few weeks ago, his unit was at a call in which a person had overdosed. He noticed a little girl and could tell she was hungry. When the overdosed patient was off safely in the ambulance, he went down the street to the convenience store and bought the little girl lots of food, using money from his own pocket. Over the last three years, Homes for Heroes Specialist Betsy Wells has befriended the family. She commented that “He has a heart of gold, and acts on his heart all of the time. There are countless stories like the ones I just shared.” When he’s not fighting fires, he also does lawn care on the side so that his wife can stay home and raise their children. 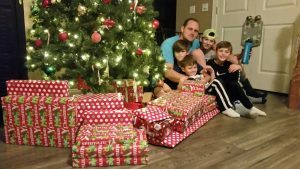 Betsy presented the family with the gift of $500, helping them have a much deserved Merry Christmas.